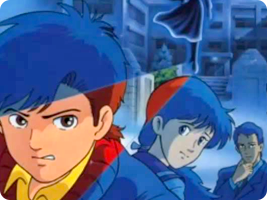 After the success of text adventures on the Famicom Disk System, including Nintendo's own Shin Onigashima, Nintendo moved into the already-established detective drama series with Famicom Detective Club. You play as an orphaned boy who, while investigating the murder of his parents, meets the private detective Utsugi, and begins working for his detective agency. Paired with Ayumi, you must investigate murders and uncover the criminal behind each one.